It’s denim season. That’s a given, though. 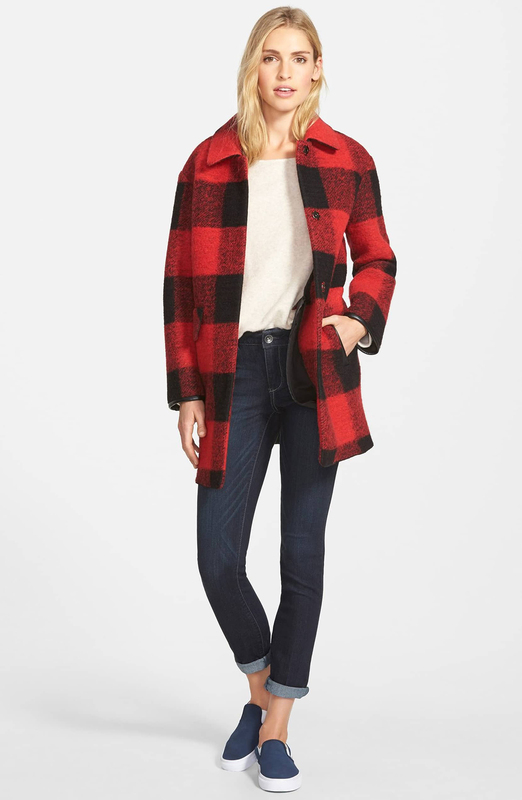 Every season is denim season, especially when it comes to jeans! That’s why we can’t just pick out any old pair and hope they’re “good enough.” We need something built to last that we’ll actually enjoy wearing, not just because they look good, but because they feel good, too. Jean shopping is tough, but we’re going to make it super easy starting . . . right now! Shop With Us: This Dress Plays With Lace and Crochet in the Best Way — And It’s on Major Sale! The Wit & Wisdom Super Smooth Stretch Denim Skinny Jeans belong in our closet. When they’re not on our legs, that is! It’s no coincidence that these jeans are extremely comfortable; they were specifically designed to have a legging-like fit. They’re essentially jeggings, but they don’t sacrifice all of the details we love about our denim. They’re the perfect blend! 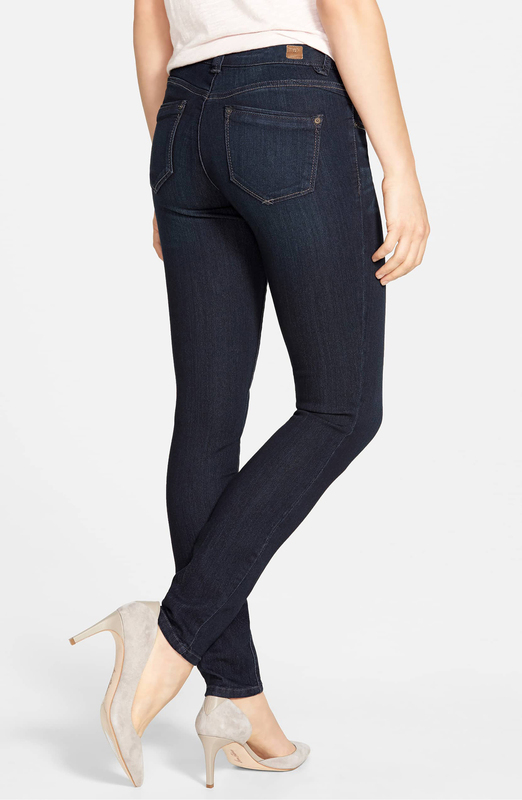 See it: Get the Wit & Wisdom Super Smooth Stretch Denim Skinny Jeans for just $64 at Nordstrom! These Wit & Wisdom jeans have 500 reviews with amazing ratings, so we wanted to see what shoppers were saying. One said that these jeans are so comfortable that they’ve actually become their “go-to over joggers” even when flying! Another said that these were “without a doubt” their new favorite pair of jeans, and yet another commented on how they match so well with “really any shoe,” including knee-high boots, ankle booties, high heels and sneakers! Others covered some of the more granular details we were searching for, one pointing that “they don’t ride down” as we wear them. Another, who never left reviews before, felt compelled to for these jeans, finally finding a pair that they “love” and noting that they don’t gap at the back of the waist or cut into their stomach! These blue jeans have a deep navy wash, making them suitable for both casual and nicer occasions. They have traditional whiskering at the hips, along with a less traditional whiskering at the inner thighs, which creates a flattering effect! They also feature contrast topstitching on both the front and the back. These skinnies have a “sleek” silhouette, fitting us like a glove because of their extremely stretchy material. Don’t worry, because “stretchy” doesn’t mean “stretched out.” These jeans will maintain their shape, so don’t be shy and let’s see those high kicks, splits and, for those of us who aren’t so flexible, some nice low kicks, too. These jeans have a mid-rise waist, high enough so we can easily tuck in a shirt but low enough that we won’t feel uncomfortable if we don’t. They have a zip fly and button closure, as well as a traditional five-pocket style. The tiny fifth pocket presents an asymmetrical detail for a fun little twist! Wit & Wisdom is all about laid-back looks, helping us make casual look cool rather than sloppy. The brand aims for its pieces to give off a “consistently clean, classic and pulled together” vibe for all body types. Wearing this pair of navy skinnies makes a big difference compared to when we’re wearing our black cotton leggings. That’s both a visual difference and one in our self-confidence! Because these jeans are so stretchy, Wit & Wisdom, along with many shoppers, recommend sizing down. Make sure to check out the brand’s size guide, which is available right below the size options dropdown! Once we’ve picked out the best fit, all that’s left to do is wait, which is truly the hardest part. At least shipping is on Nordstrom! Looking to dress these skinny jeans up? Why don’t we offer up a few ideas? Pairing them with a flowy, floral top and some ballet-style flats would be perfect for the office or even after-dinner drinks. Want to dress them up even more? Trade the flats for heels or wedges and add a little sophisticated edge with a chic moto jacket. To keep things casual, we can stick with a pair of sneakers or some comfy slide sandals as footwear. Tuck in a graphic T-shirt up top or let a crop top’s hem graze the mid-rise waist. Sport a cute bun or rock a baseball cap to complete the look! Don’t forget some red lipstick, too. That goes for both nicer and more casual occasions. With these jeans on, we feel like we could take over the world. Even if all we have on is a plain white T-shirt, these jeans elevate it to the point that we feel like we belong in a fashion ad. Maybe we do! Hey, Wit & Wisdom, call Us! Not your style? Check out more from Wit & Wisdom here and other jeans and denim available at Nordstrom here!